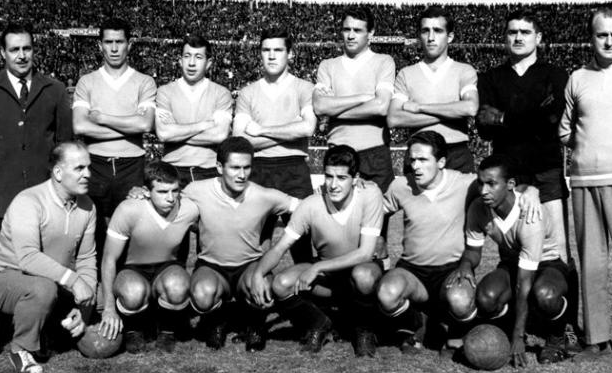 Essentially in 1966, Viera was tasked with managing the Uruguay national team, however his time with the national team was polemical to say the least. "Other countries have their history. 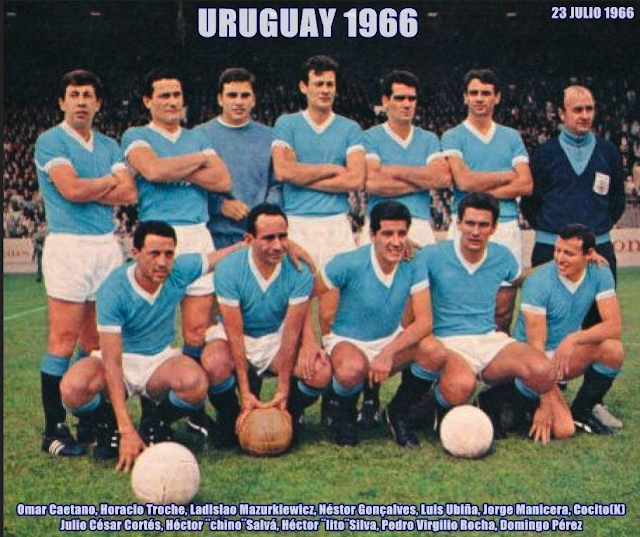 Uruguay has its football"
Now more fondly remembered for a quote than anything else, Ondino Viera's managerial history is peppered with curious pit-stops, such as managing Paraguay's national team in the 1962 Copa America and Peñarol in the '72 edition of the Libertadores. But before we get ahead of ourselves we should delve into the myth a bit deeper. "a sum of values with which the desired perfection is achieved within human imperfection." The sport unites seven core values in a football player: "athletic, physical, technical, strategic, moral, mental and artistic" (Mundo Deportivo, June 25, 1958). Ondino Viera operated with a certain system of beliefs, such as the one illustrated in the above quote, he also took credit for systems and innovations in Brazilian football he may have had a minor or bigger part in. This all depends on how much you subscribe to the Ondino Viera Myth, for example, during the same interview with Mundo Deportivo (July 25, 1958) Ondino Viera took credit for the formation of the 1950 Selecão players such as Barbosa, Augusto, Vigode, Ademir, Jair, Zizinho, Chico and Friaça and then for creating Brazil's technical staff for the 1958 World Cup. Indeed Viera's high sense of himself is part of the lure and charm of the Ondino Viera myth, i.e., The Maestro, or in English... the Master. Decades before Tabárez even thought of getting into the coaching profession, Ondino Viera already owned the moniker "El Maestro. " Although he rose to prominence with Nacional (1930-1933) and had already won a Uruguayan championship in 1933, Viera's formation as a football manager takes place largely in Brazil of all places. From 1938 to 1955 he managed various Brazilian clubs including the top Rio clubs, Fluminense, Vasco da Gama and Botafogo, he also managed Bangu, Palmeiras and Atlético Mineiro. 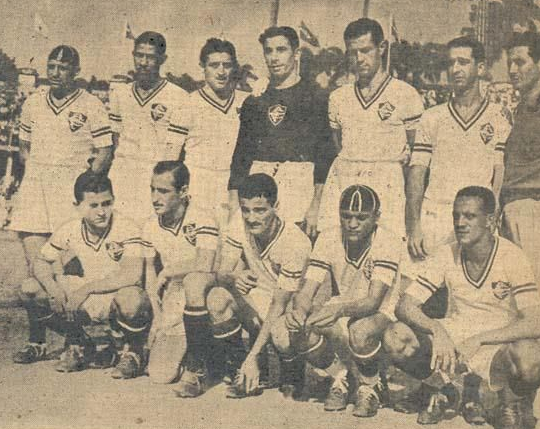 With Fluminense, Viera won 3 Carioca titles (1938, 1940 & 1941). 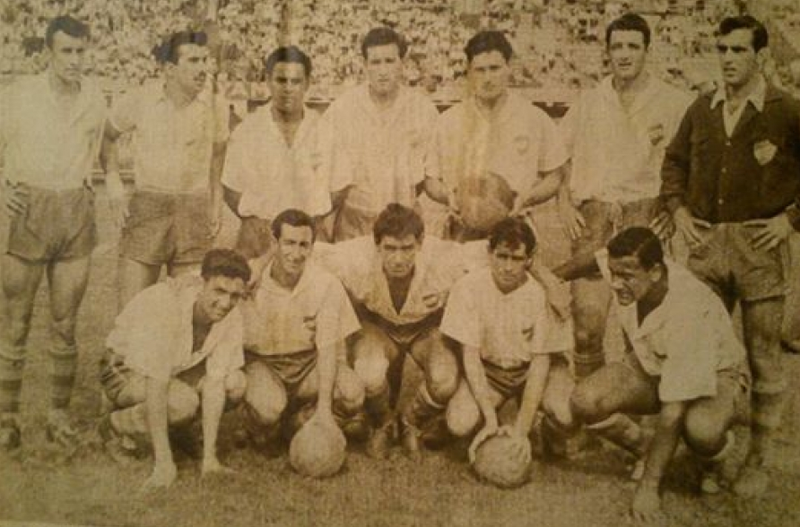 With Vasco da Gama, Viera won 2 Torneos Municipals and one Torneo Relampago along with another Carioca title (1945). 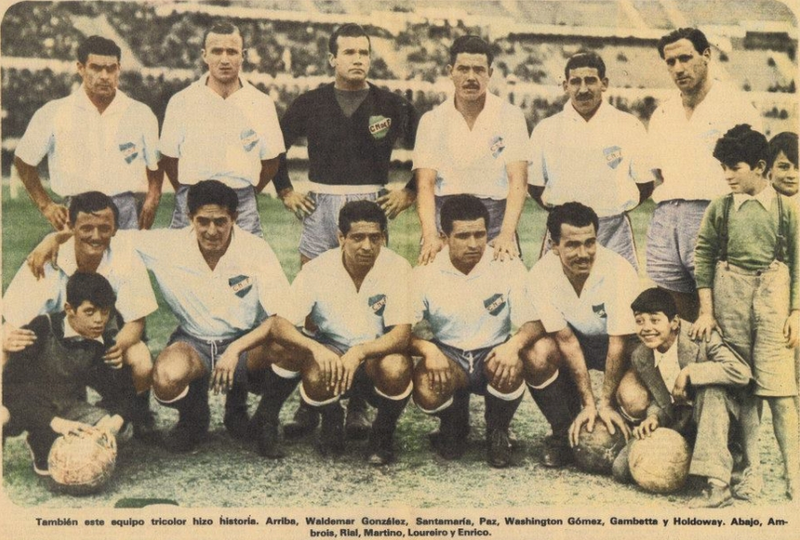 He also won the Campeonato Mineiro with Atlético Mineiro (1954). How the diagonal system got credited to Flavio Costa came about when "Flavio Costa, then the Brazilian national coach, published an article in the newspaper O Cruzeiro in which he explained, with the aid of schematic diagrams, what he then called the 'diagonal system'. It was to be a pre-cursor of the 4-2-4." (4) So maybe because Costa published the system in a newspaper, credit was naturally given to him, in a way Costa may be similar to Amerigo Vespucci, the explorer who German cartographer, Martin Waldseemüller, incorrectly credited with discovering the New World instead of Christopher Columbus. Its also quite possible Costa did develop an early version of the 4-2-4 and its also quite possible that Ondino Viera either tweaked with Costa's innovation or developed the 4-2-4 independently. Whether Viera, Francisco, Costa or the Hungarian Guttman – who usually gets credited for everything – came up with first is up for debate, regardless of who came up with 4-2-4, it was Vincente Feola who introduced it to the world in 1958. 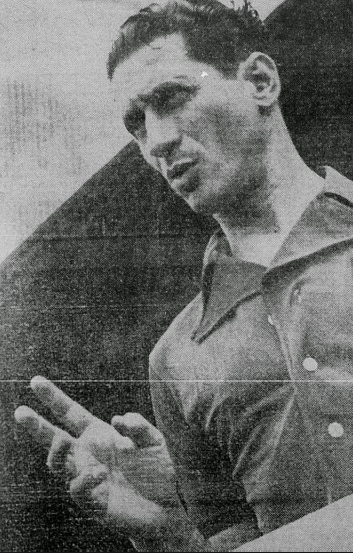 His last title with Nacional though brought to the forefront Viera's uncompromising somewhat unwillingness to work with players – something which would resurface with the national team in 1966) – Incredibly, Viera had no use for the much beloved Julio Pérez who along with Javier Ambrois had scored 14 goals during the 1956 season. (7) At the time however, this was also an innovation as Viera had rejuvenated his side by calling up youth players and mixing them with veterans. Viera's "uncompromising" attitude willed Nacional their 25th title in Uruguay's first division and their third straight championship in the 1950's, the first time this happened since Nacional obtained 5 straight titles in the 1940's. Ondino Viera would resurface as Paraguay's national team manager. This is important for so many reasons, while at club level he was an innovator and obtained many results, his jump to international football and eventual stewardship of Uruguay's national team occurred very late in Viera's career. Already in his sixties when he took over Paraguay, Viera managed in only 11 games but still managed to guide Paraguay to 2nd place in the 1963 Copa America (then called Campeonato Sudamericano). (9) Not lost are his triumphs over Brazil in the 1963 version of the Copa America, defeating Brazil who had won the 1962 World Cup by employing the still much fancied 4-2-4 system can be seen a historical triumph. 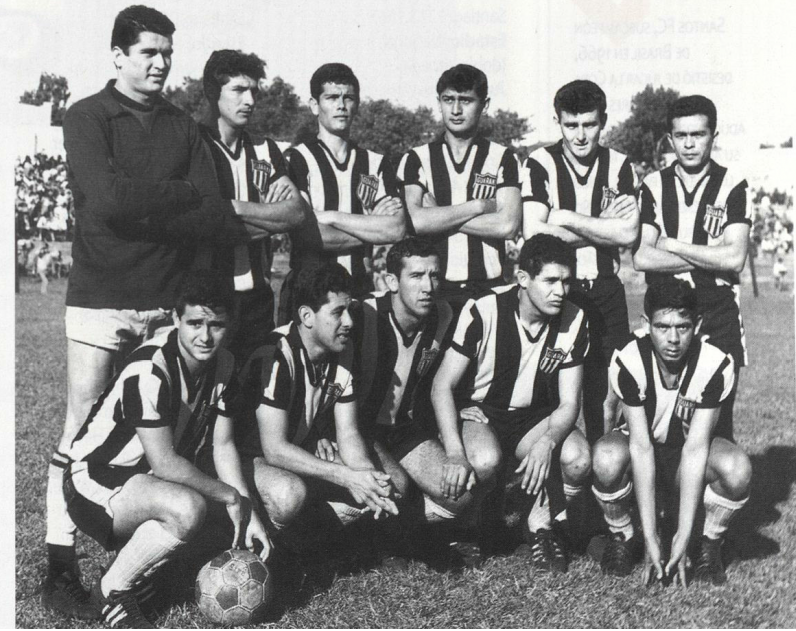 Viera then took over Club Guaraní culminating in the capture of the 1964 Paraguayan Championship. Ondino Viera then returned to his birthplace of Melo to manage Club Atlético Cerro. But then unexpectedly, the Uruguayan national team arrived on his lap. As we have seen already, Ondino Viera was a well established manager with an exceptional coaching pedigree before he even managed the Uruguayan national team in 1966, oddly his spell with the Uruguay national team was disastrous and short-lived. In 1964, Rafael Milans had been named manager of the Uruguay national team, he embarked on an ambitious European barnstorming campaign. Uruguay defeated Morocco & Austria, however they had lost 3-0 to Northern Ireland, 2-1 to England (which included the Celeste debut of the Ecuadorian Alberto Spencer) and 1-0 to the Soviet Union in Moscow. Two friendly matches played in Montevideo with East Germany resulted in a a win for East Germany and then a draw. In 1965, against South American competition, things looked better. Uruguay split a pair of April-May friendly matches with Paraguay, first losing 2-1 to Paraguay in Asunción and then winning 4-0 at Montevideo. Two additional friendly matches with Chile produced two draws. In qualification, Milans guided Uruguay to a 5-0 win over Venezuela at Montevideo, then a 3-1 win over Venezuela at Caracas and two wins over over Peru, 1-0 in Lima and 2-1 in Montevideo. (10) Milans' qualification record should've been enough to maintain the Manager post. But la AUF was not convinced. Although Rafael Milans, (top left with suit and tie) qualified Uruguay to the 1966 World Cup he was discarded for the '66 World Cup. Just a month after qualifying Uruguay to the 1966 World Cup, Juan López was named as his replacement, the man who had managed Uruguay in the 1950 World Cup then went ahead and lost two high profile friendly matches. First a 3-0 loss to Brazil in Belo Horizonte on July 7, 1965 and then on December 4, 1965, a 3-1 loss to the Soviet Union in a friendly played in Montevideo. So on December 21, 1965, Ondino Viera was named manager of Uruguay's national team. 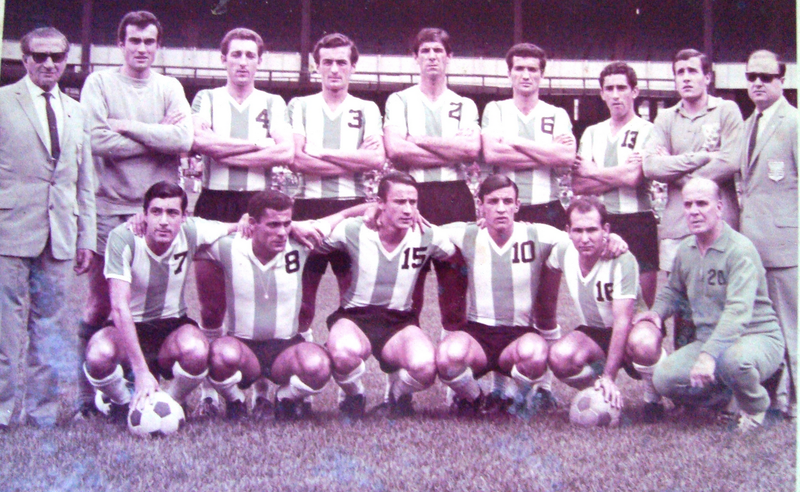 During the time the 1966 World Cup tournament was played, Argentina did not interrupt their domestic league, therefore Ondino Viera wasn't able to call-up players like Roberto Mastosas, Luis Cubilla, Alcides Silveira and Ricardo Pavoni who had all emigrated to Argentina. Viera had announced two European tours to prepare the Celeste for the '66 World Cup but got one instead. Towards the end of the tour, Viera got into a confrontation with his players when his players had asked him to keep Mario Méndez on, Viera refused. During the course of one day, Ondino Viera made a b-line to La AUF where he presented his resignation from the Uruguayan national team. Meanwhile the players unaware of Viera's course of action went to Viera's house in an attempt to apologize for their transgression, it was too late. La AUF refused Viera's resignation and backed him up, giving him unusual powers, players that were expelled from the training concentration (like Méndez) were considered traitors, comically (but probably not so at the time) Viera suggested that any future act of rebellion during the European tour or during the World Cup would result in a possible rebellious player being returned to the Uruguayan embassy for a return flight to Montevideo. 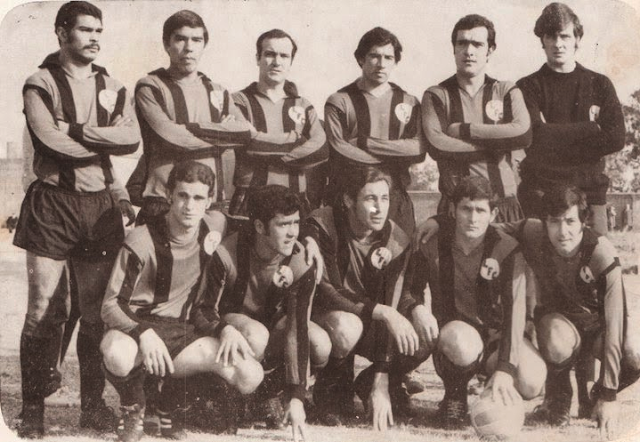 (11) – cut from the final team were Julio César Abbadie, Juan Martín Mugica, Vladas Douksas & Carlos Martínez. While in Brazil, Ondino Viera may have kick-started the revolutionary 4-2-4 formation, during the World Cup, Uruguay were defensively boring. They played the hosts, England, to a nil-all draw which while hailed as a triumph of sorts in Uruguay was seen as a colossal bore in England. Uruguay then obtained a 2-1 win over France which stood for 48 years as the last time Uruguay defeated an UEFA side during regulation time. Another nil-all draw to Mexico got Uruguay into the Quarterfinals, but a shambolic 4-0 loss to West Germany gave way to a conspiratorial mindset and allegations that the '66 tournament was rigged for England. Although he accepted total blame and responsibility for Uruguay's shocking exit from the tournament, Viera's tenure as Celeste manager gave way to player disciplinary issues, not helped of course by Viera's lowering of team morale before the tournament even started by insisting on an unprecedented dictatorial control over the national team. This poor sportsmanship aspect to the national team, while not exclusively Ondino Viera's fault, finds its origins with Ondino Viera, would resurface again and again. In fact one of Viera's assistants during the 1966 tournament, Omar Borras, would take it to new heights in the 1986 World Cup. 1967 must have been Ondino Viera's most busiest year as a manager. 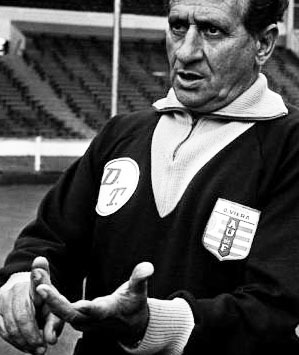 After Uruguay's exit from the World Cup, Viera pops up all over the place, some websites list him as managing Uruguay in 1967, when in truth, Juan Carlos Corazo (Diego Forlán's grandfather) managed Uruguay. It could well be that Viera assisted Corazo or was part of his staff, similar to Juan López assisting Viera in 1966 – this is unconfirmed. Juan Carlos Corazo assumed the managerial post on January 4, 1967 in a friendly with Romania. The '67 edition of the Copa America was played during the months of January to the beginning of February, so it's possible given the timeline that he could've been part of the coaching staff. Ondino Viera (on left with shades)... his assistant on the other end, also wearing shades is none other than Omar Borras. Cerro's home matches were played at Yankee Stadium, which is a stadium designed for baseball not football. In the 1970's the NASL New York Cosmos would also play there as well; More recently the MLS franchise, NYCFC calls the new Yankee Stadium home. Also worth noting, one of Viera's assistants during his time with the New York Skyliners was none other than Omar Borras, who also served as his assistant during the 1966 World Cup. After having coached Atlético Colón de Sante Fe in 1969, Ondino Viera last impressive bit of coaching would be with Liverpool Fútbol Club. On a European tour, Liverpool notched wins over Werder Bremen, Sporting de Gijón and Sevilla. They finished the 13 match tour of Europe with 3 wins, 7 draws and only 3 losses. (17) – In 1971, Liverpool finished third overall behind Peñarol and Nacional which considering the era was considered an important minor triumph, more importantly, he put together a 14 game undefeated streak at Liverpool that season. Ondino Viera's last meaningful association with a football club was with Peñarol, Nacional's traditional rival. He would manage Peñarol in the '72 edition of the Libertadores competition, ironically, Viera's Peñarol would be eliminated by Nacional, the team he had won 4 titles with prior to coaching Peñarol. By the time he went on to manage Uruguay's River Plate Club and Sud América (I.A.S.A. ), his time was over. He left behind an indelible mark on all the teams and institutions he managed. History has a way of reducing certain people to footnotes, while Ondino Viera blew his own trumpet, there's no question he was a manager of the highest pedigree who brought innovations to the sport of football that shouldn't be diminished. Even though his time with Uruguay's national team does not reflect it, one could argue he was best manager Uruguay ever produced. 1 Primera Division with Guarani. 3 – Inverting the Pyramid, Jonathan Wilson. 3 – Mundo Deportivo, June 25, 1958.